Aurora will review your Soul Path and Destiny and address any present dilemmas, blocks, self sabotage or other barriers, bringing a REMEDY with Sacred Alchemy. 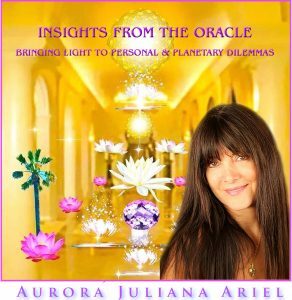 Reading your Book of Life, Aurora brings clear insights, assisting you to tap into the vast reservoir of your Divine Nature. Now you can step FREE into your Authentic Self on a whole new level. With Aurora's formulas for SUCCESS, you can WIN in life… you can THRIVE! You can be your Full Potential Self, having more fun, reaping more abundance, and living a happy joyous life with greater self esteem and fulfillment in area, your inner happiness radiating from you and all your relationships flourishing. Avail yourself of this timely offer today!